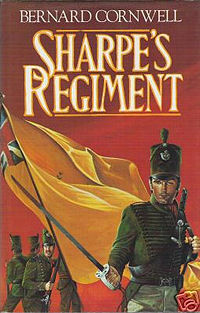 I am soon to paint up another fictional regiment – this time the South Essex from the Sharpe novels. I knocked up these colours for the regiment using Microsoft Paint and bits of French and British flag images I got off the net. I think they are about the right size for 28mm but you may have to resize slightly one way or the other. And a version with the Prince of Wales emblem (the feathers in Green as an homage to the Rifles). This has been modified with the feathers emblem on the King’s Colour as well. The Eagles in the corners have been retained. 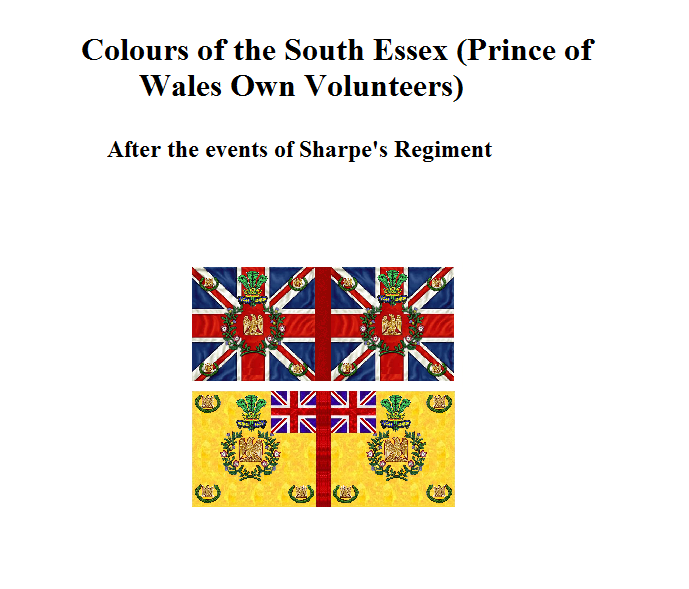 I also fixed the Union flag on the Regimental Colour to include the Cross of St Patrick. Excellent work! I will certainly be looking to steal these at some stage! Feel free. That is why they are there. Just found these flags. 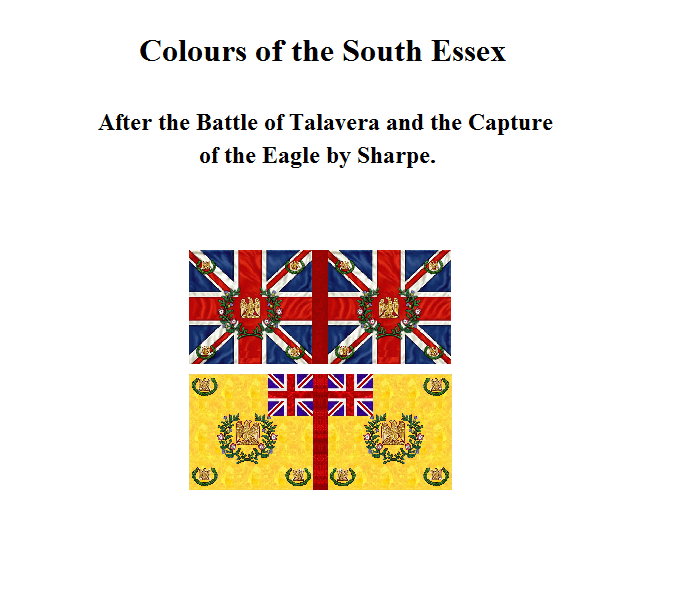 As I’m painting up soldiers of the South Essex to use with “Sharp Practice” (rules by TooFatLardies) they will be the icing on the cake so to speak. I’ll be doing TWO Colour Parties now. No problems. I am glad I was able to help.